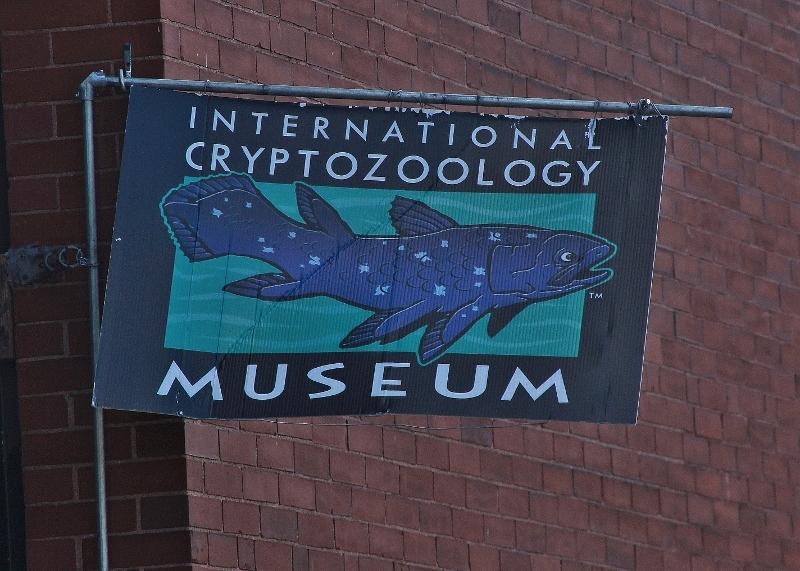 The International Cryptozoology Museum: You have to see it to believe it! 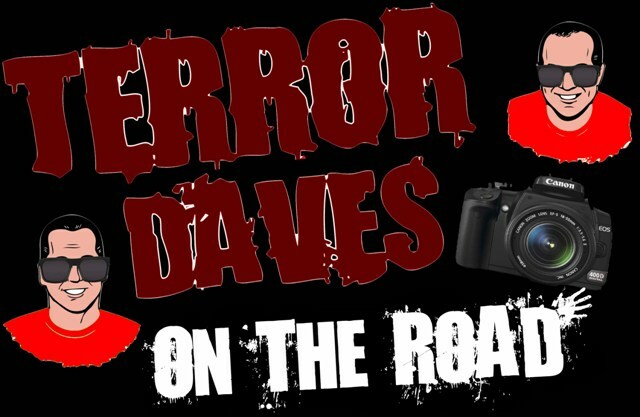 Last weekend we Terror Daves met up for the second time this year and spent a few fun-filled days in New England. 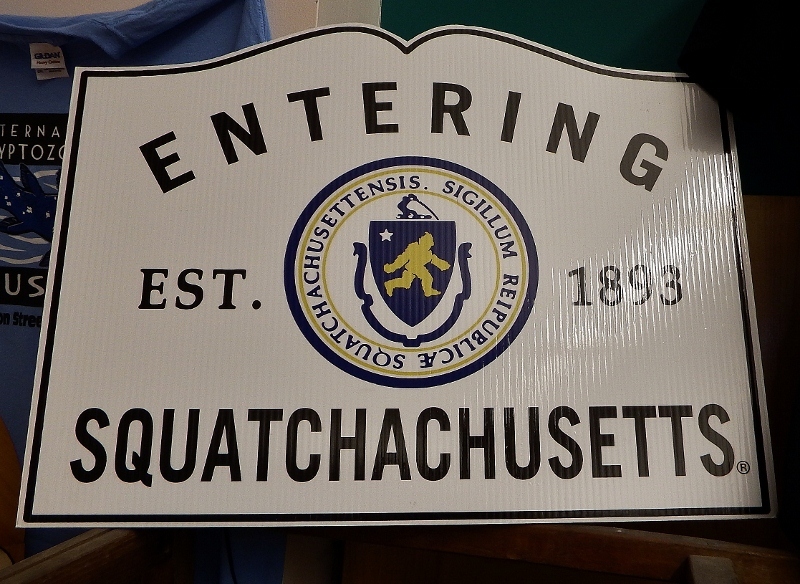 It’s always nice to shrink those nine hundred miles between us and enjoy some activities centered around our dual interests; animals and monsters. This latest adventure would be relatively short as I’d spent the previous week attending a zoo related conference in Florida. Shortly after my departure, temperatures north of the Mason Dixon Line plummeted and last Saturday I’d go from wearing sandals and sitting under an Orlando palm tree to wearing a sweatshirt and navigating through chilly Providence rain that same evening. Fortunately we didn’t have anything but sunshine and comfortable temps the remainder of my visit. After my plane landed, we ate dinner and got caught up at “Ruby Tuesdays” before going back to his place and watching the new GODZILLA movie (his third and my fifth viewing, though I believe he’s since caught up). The next day we headed up to Boston for a Whale Watch before making our way to a hotel in Portland, Maine. 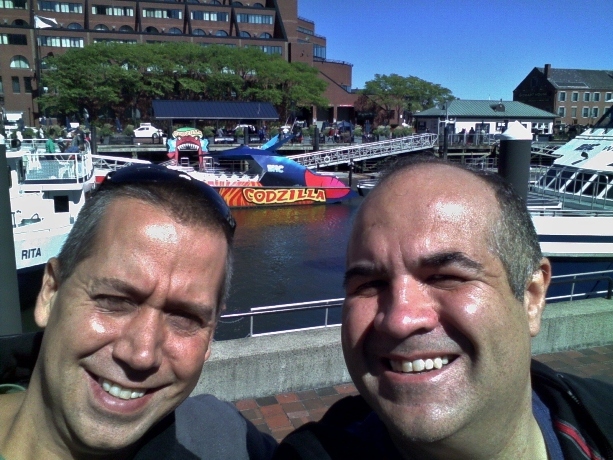 Terror Daves “Selfie” in Boston with Codzilla looming behind us! 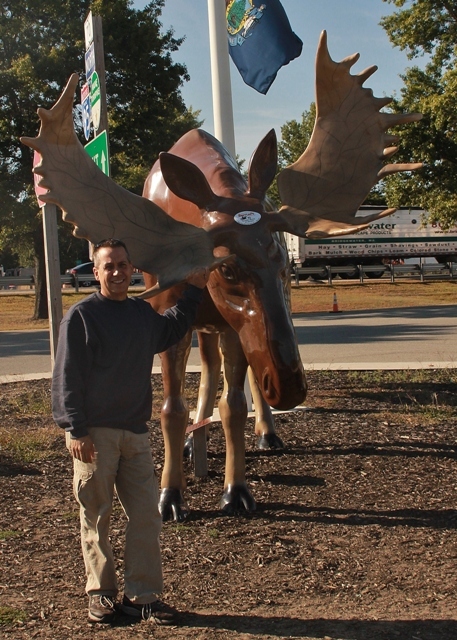 This was the first time either of us had been to Maine and we were immediately impressed with how scenic it was. I was so glad he was driving as it gave me a chance to stare into the lush woods and waterways we traveled through in the hopes of spotting black bear or moose. 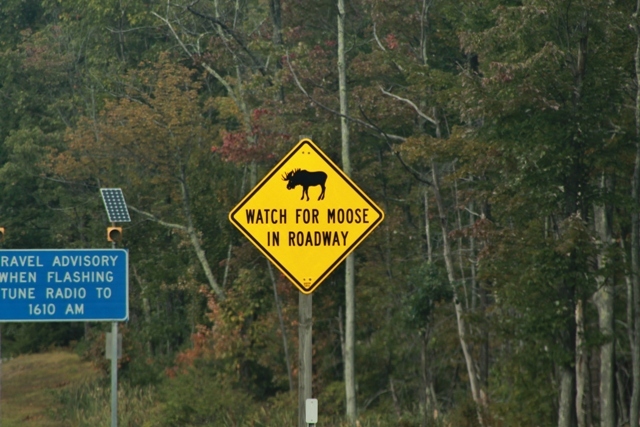 Unfortunately that never happened though we did snag a photo of a fake moose and Smokey Bear along the way. 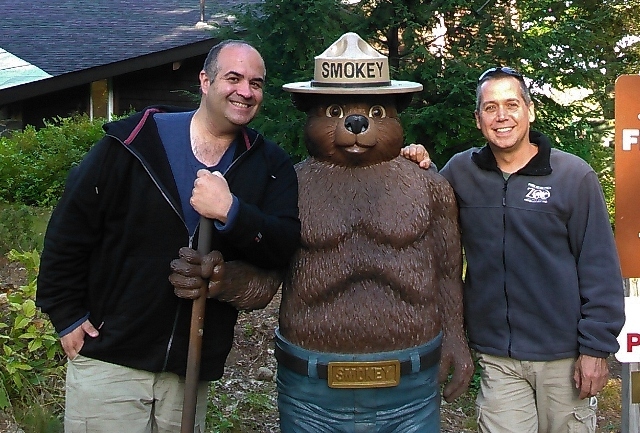 It wasn’t bear nor moose, however, that inspired our venture into “The Pine Tree State,” but a very different variety of animals…the kind you can’t find at any zoo or rest stop. 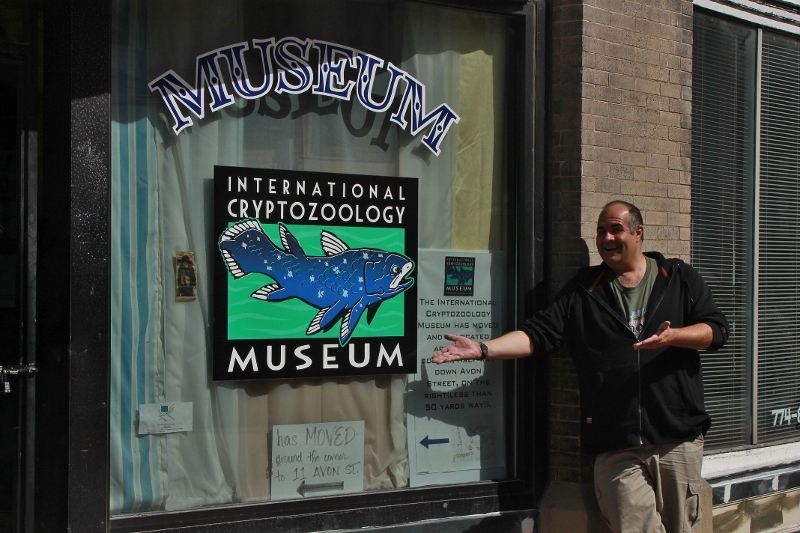 Portland, Maine is home to The International Cryptozoology Museum and we Daves felt it our destiny to go there! Crytozoology is the study of animals whose existence has yet to be proven (or are believed to have once existed and now believed extinct). 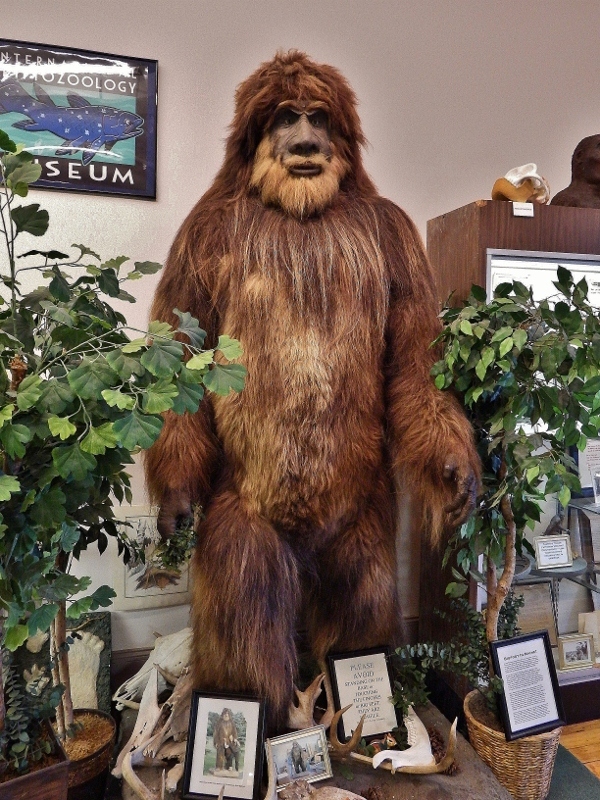 The most famous “cryptids” would be Bigfoot, the Yeti, and The Loch Ness Monster. It’s not that we’re necessarily believers so much as we enjoy the idea of them. Let’s be honest, it’s way more fun thinking that some of those monsters we love aren’t just located in our DVD/Blu-ray collection but somewhere out in the real world as well. 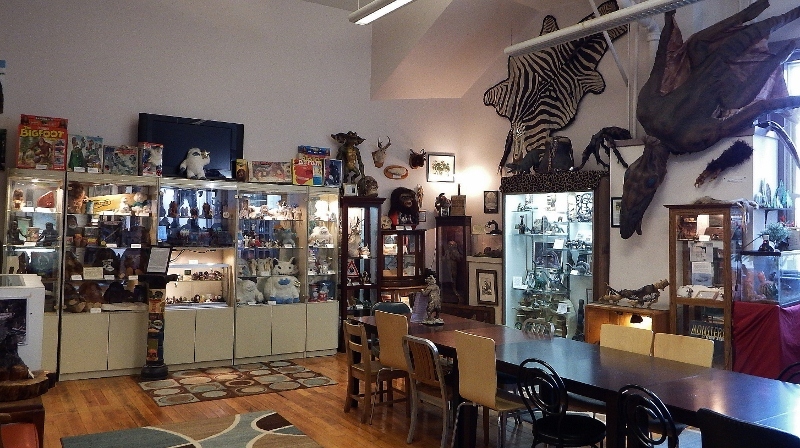 The museum was founded by Loren Coleman in 2009. 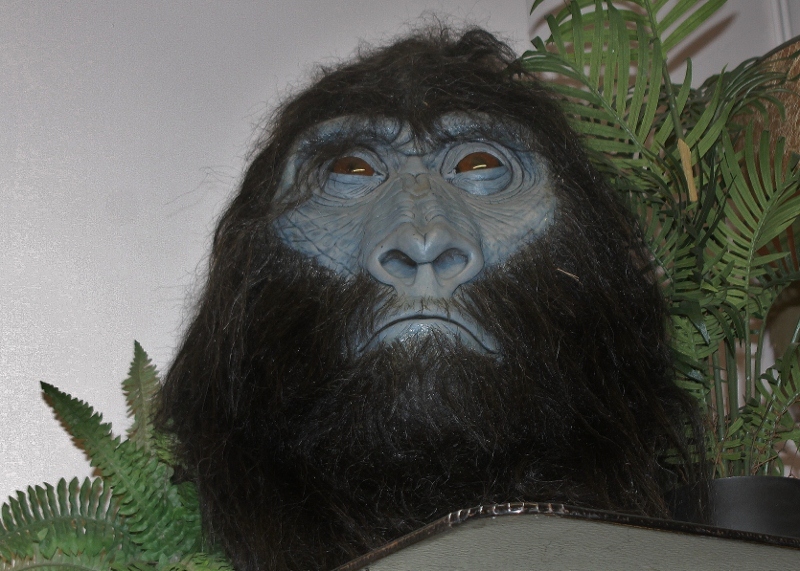 Coleman is considered the world’s foremost cryptozoologist and has written seventeen books, scores of articles, while appearing in numerous TV documentaries on the subject. 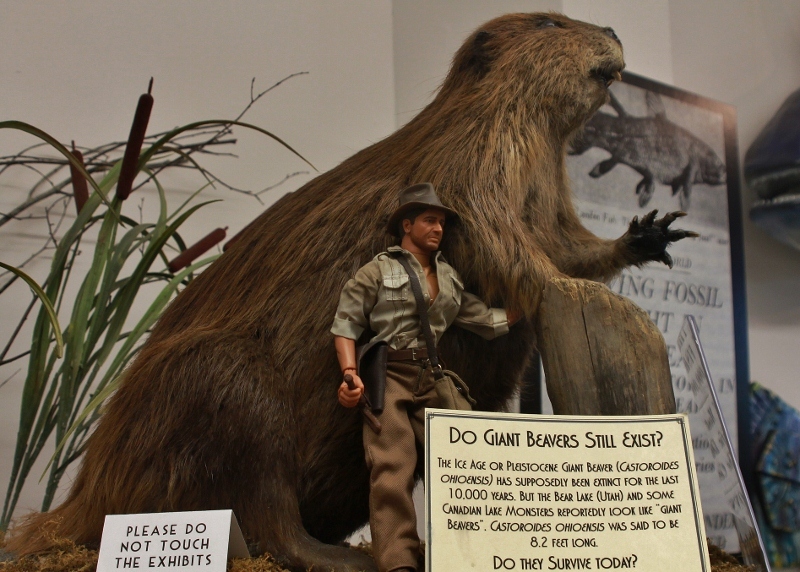 It was no secret that we were both as eager to meet him as we were seeing the museum itself. After locating a parking spot (about as easy to find in this area as Sasquatch) we walked towards our destination from behind. 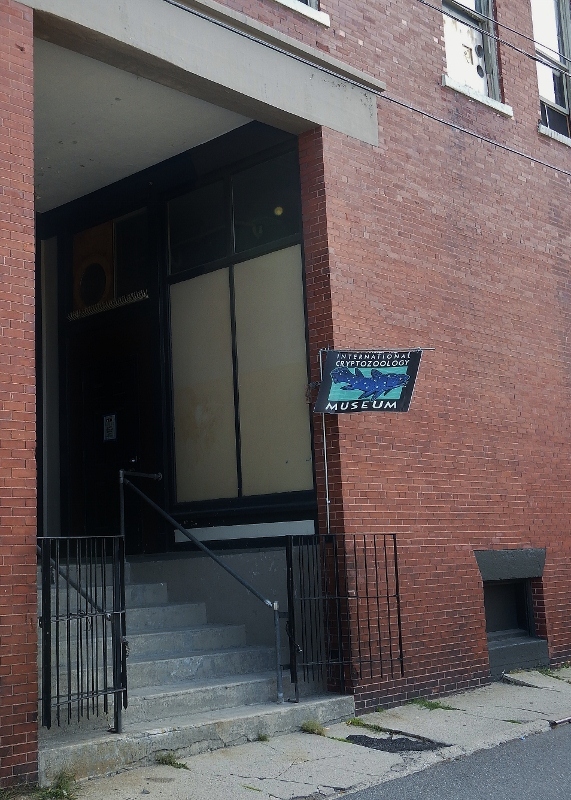 Access to the museum was through a side door located from an alley. Before entering we decided to walk out front and check out the museum window we’d driven past while looking for a place to park. It was a Monday morning and after entering the museum we discovered that we had the place to ourselves. This gave us high hopes of delving into deep conversation with Coleman but, on this day, the store was being tended by a young woman named Sarah. She greeted us as we walked in and politely asked that we silence our cell phones. Neither of us were using them at the time and I believe the intention was to inspire patrons to take the museum’s subject matter objectively as opposed to walking around laughing while cracking jokes. 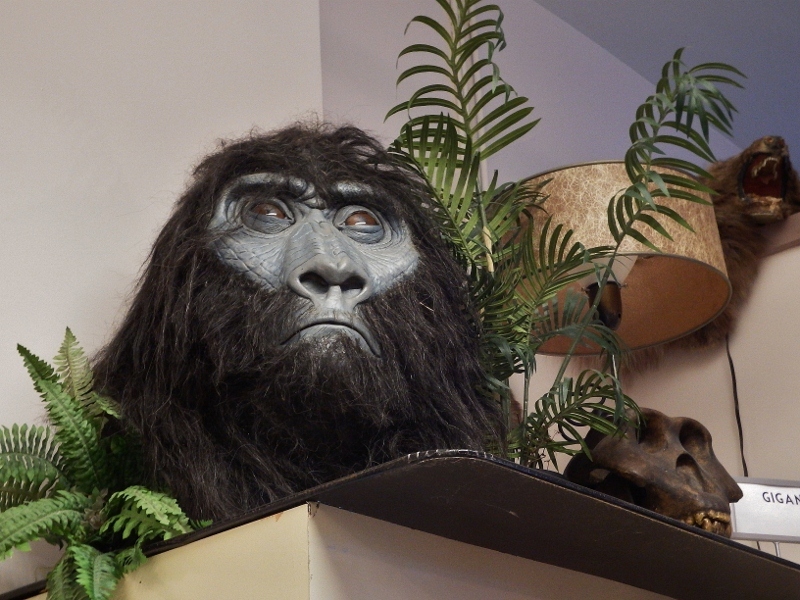 One lesson Sarah told us was that we should keep an open mind and that the mission statement of The Cryptozoology Museum was neither to debunk nor reinforce the beliefs of their patrons. 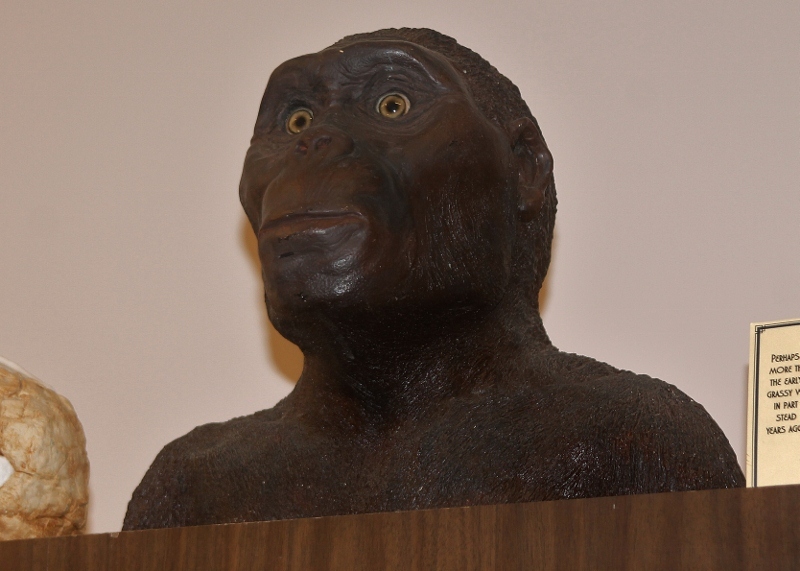 She pointed out the fact that animals such as the okapi and gorilla were also once cryptids until their rather recent discoveries. We looked around while feeling sensory overload with so much to see! The okapi; once the symbol of cryptozoology has since been replaced by the Coelacanth. 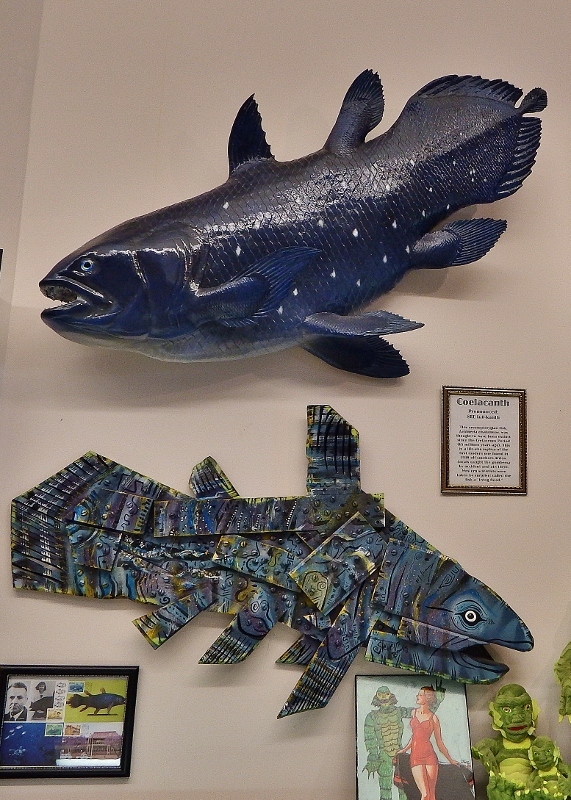 This ancient, lobe-finned fish was believed long extinct until ending up in a fisherman’s net in 1938. Since that time another spotted species was also discovered. 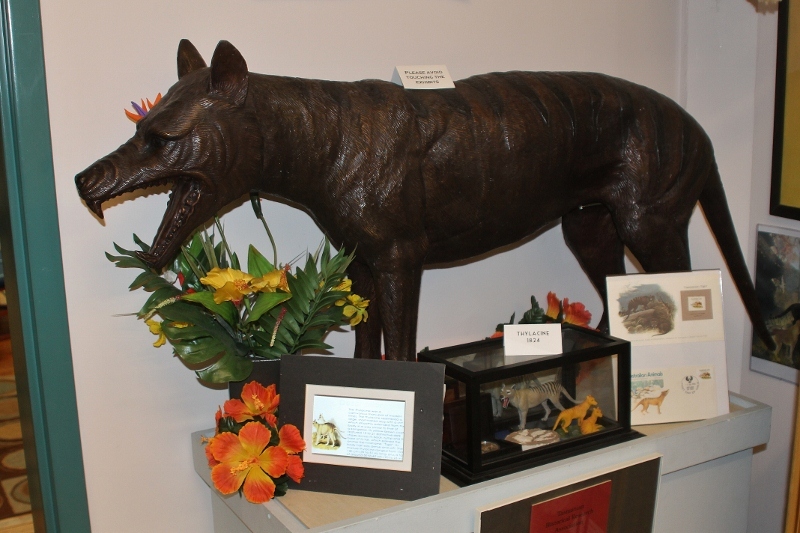 Cryptozoology can also give hope that animals that man has wiped out may still exist somewhere such as the Tasmanian Tiger which the museum boasted a larger than life-sized bronze statue of. I get sad every time I watch footage of the last Tasmanian Tiger (not a tiger at all but a marsupial canine) at an Australian Zoo. I posted the video below this picture so you can see it too. Sarah and I both discussed the animal in detail and it was obvious she knew her stuff. Elephants have always been my favorite animal and are actually part of a long line of prehistoric giants. 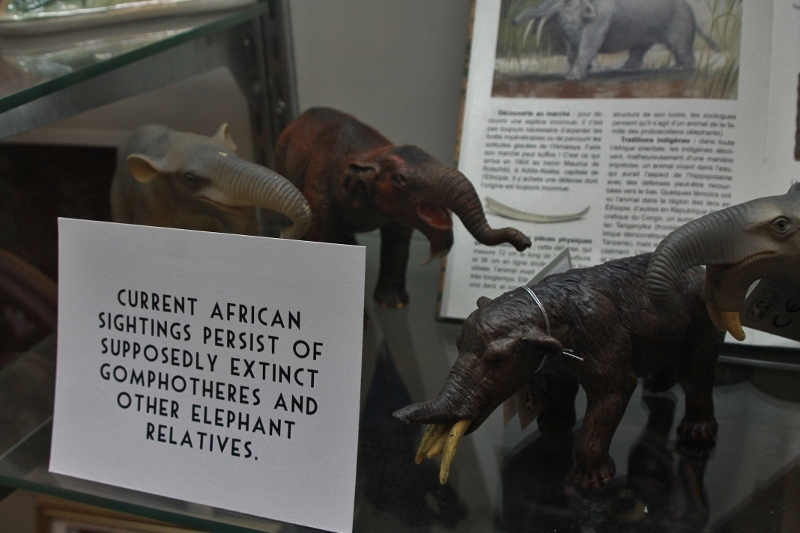 The museum showed a sampling of them and I was surprised to hear that in Africa there are sightings of some. 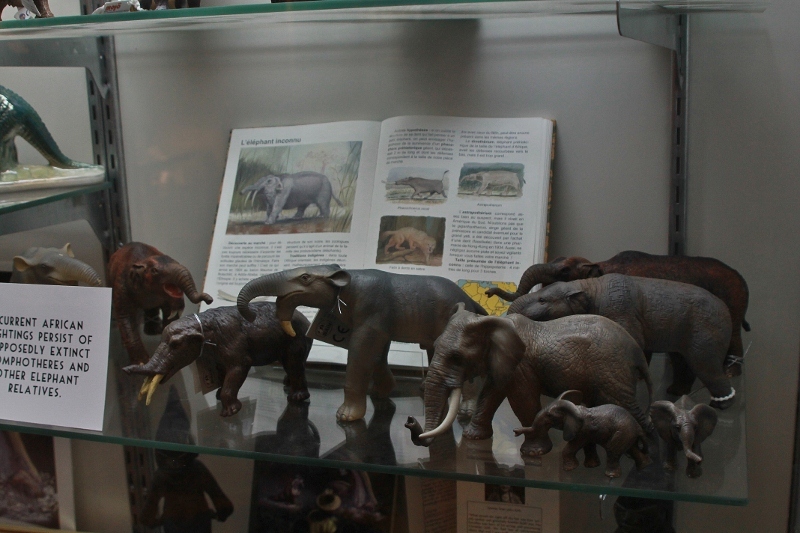 I also shuddered thinking about how the demand for ivory these days may likely render our modern elephants into cryptids themselves. Tune in for more pictures from this incredible museum! 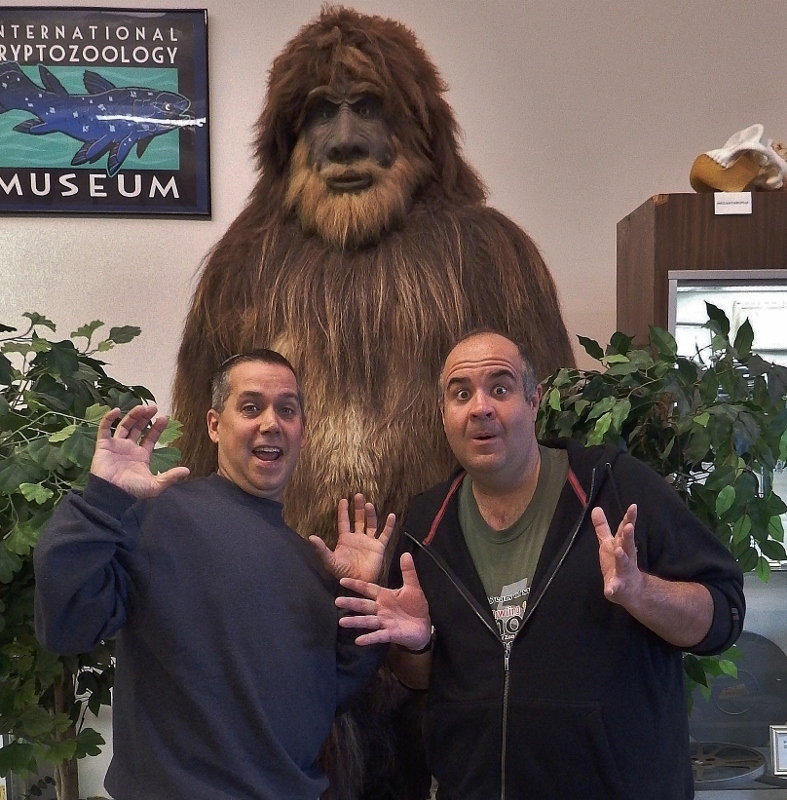 This entry was posted in Cryptozoology, Terror Daves on the Road!, Weird USA and tagged Bigfoot, Cryptozoology Museum. Bookmark the permalink.